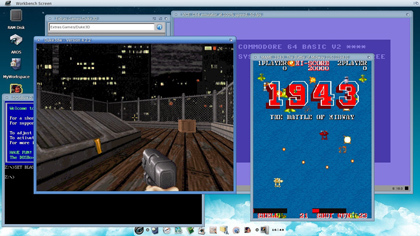 Icaros provides emulators to run a large library of old games and applications. In recent decades, with the ascendency of Apple, the '80s are more likely to be remembered for the 1984 debut of the Macintosh than that of the Amiga. But as revolutionary as the Mac was, the Amiga — the first Amiga was released in 1985 — also deserves to be remembered for its powerful (at the time) multimedia capabilities. 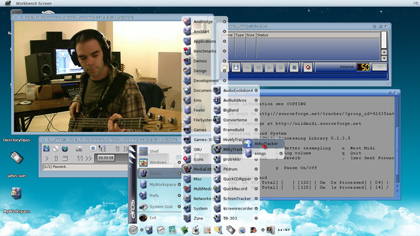 The default Workbench-like screen of Icaros Desktop. And Amiga's legacy lives on. 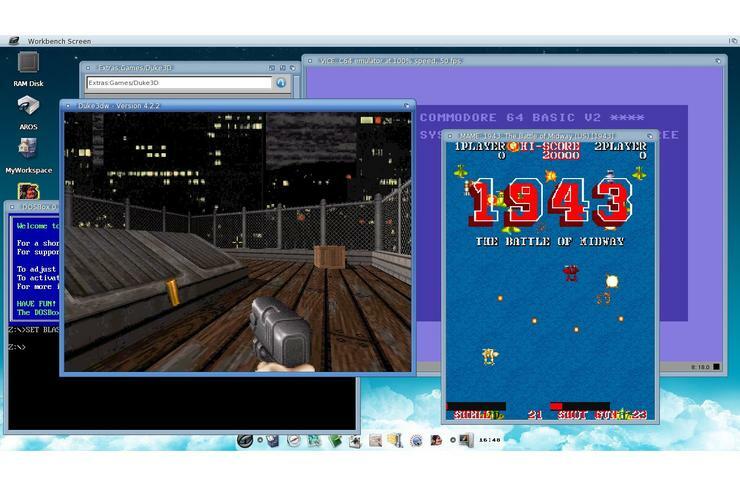 A new Amiga-branded PC was launched earlier this year running Commodore OS Vision Linux on an Intel Core i7 CPU. AmigaOS 4 development continues (I spoke to its lead developer in May), and a tight ecosystem of hardware makers and users are keeping it alive. But beyond these more direct descendents of the original Amiga platform, there are a number of projects that have been inspired by the system, taking the 'best practices' elements developers feel were present in the Amiga and reimplementing them in a modern OS. One example of this is Syllable which is an attempt to create an entirely new desktop operating system inspired by Amiga. 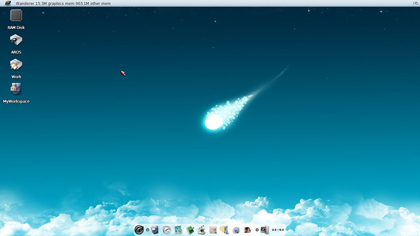 Another, quite different, effort is Icaros Desktop, which is a desktop OS that runs on x86 PCs. 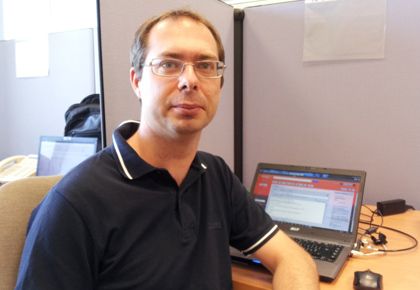 Its creator, Paolo Besser, says that Icaros is "for AROS what Ubuntu is for Linux". It's effectively a user-friendly distribution of AROS — the AROS Research Operating System — which is an open source reimplementation of the Amiga OS 3.x APIs, structure and interfaces available for ARM, Motorola 68K, PPC and x86 systems. Like Ubuntu, Icaros "tries to leverage the parent operating system to a better-suited environment for final users," Besser says. Icaros Desktop was born at the end of 2007. AROS development itself began in 1995, with the first release in 1997 (it's licensed under the AROS Public License). AROS describes itself as being more akin to WINE than an emulator: It provides an Amiga-compatible platform rather than Amiga emulation. Besser says that one of the issues with AROS that led to the creation of Icaros is that the only option for people who wanted to play with AROS was that to use the nightly builds. "Nightlies are fun, but good just for developers," Besser says. "Users needed a ready-to-run environment which would allow them to do at least something interesting, and that's where I stepped in." He created a pre-configured VMware virtual machine that included AROS and all of the available software for it. It eventually grew from a VM to a fullblown DVD AROS distribution, "ready to use on real hardware, both in live mode and installed onto the hard drive". Besser credits the creation of Icaros with speeding up AROS development by bringing more users to the platform. Besser doesn't have any firm figures on the Icaros user base. He says "a few thousand people" downloaded version 1.4 of Icaros Desktop. "AROS-EXEC.org, which is AROS' main discussion forum, gains new users every week, and this is just enough for me." He believes that a large part of Icaros Desktop's appeal is for people who miss being able to use Amigas, and want a system that can recreate something akin to the AmigaOS experience while using modern x86 hardware. "In my humble opinion, it's something that has to do with personal tastes and own computing history: People that had loved AmigaOS and always missed it, can now use Icaros Desktop on their powerful and cheap PCs. The original Amiga was renowned for its multimedia capabilities. Icaros includes multimedia players, editors and trackers. "Doing things 'the Amiga way' was and is completely different from the other platforms, and someone may just prefer this approach over the mainstream ones." Icaros is a good operating system for "spare time", Besser says. "Some users might even use it as main operating system for a secondary machine." He uses it on his netbook and says it's faster than the netbook's original OS. "I can browse the Web with Icaros when the original OS wouldn't have even finished booting." "There are many tasks we can't cover yet, but with every release we gain a new piece which allows us to do something more," Besser says. Icaros is not the only AROS distribution available. Two other distributions — Broadway and AspireOS — can also be downloaded by people interested in AROS. "There's no real competition between us," Besser says. We've all grown in a little community and we're just doing the same thing with little differences, mainly for fun." Paolo Besser, mantainer of Icaros Desktop. "Many times, we share the same solutions we find for our own 'product'," Besser adds. "Fragmentation has already done serious damages to the Amiga platform and community; we don't really need people fighting and screaming everywhere." Although Icaros is open source, Besser says that he has a fairly strict regime when it comes to contributions. "I have a clear vision about the results I wish to get," he says. But, he adds, "it's just a matter of asking me" if people want to participate. "Many enthusiastic people have helped me, and without their suggestions and lines of code, I wouldn't ever have been able to do what I have." He says AROS itself is "more democratic and anarchic" when it comes to development. "Anyone who feels the need to change the codebase can just join the development mailing list, propose changes or additions, ask for an SVN account and commit his or her code."